Tata Hitachi has been a prime mover in leading sustainable development in the fields of Infrastructure &Mining for decades. 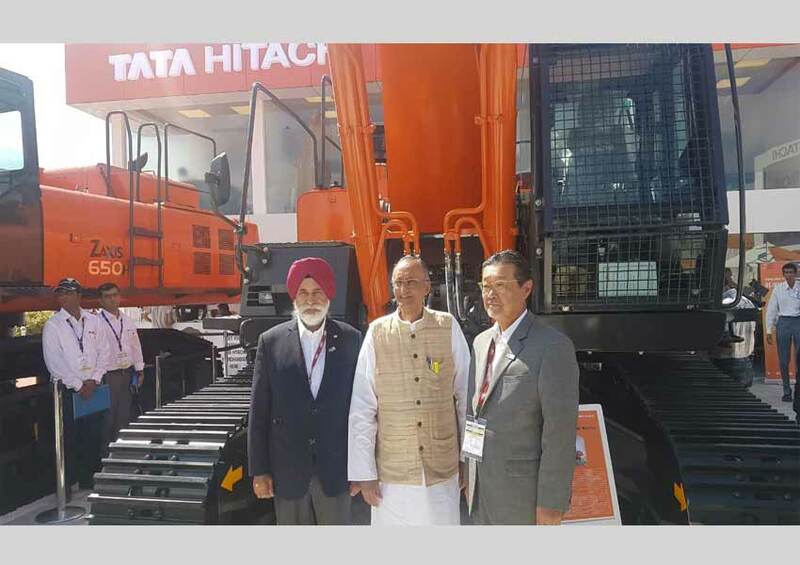 Focused on delivering global excavation and haulage solutions to suit Indian working conditions, Tata Hitachi has embraced all the challenges that have come its way. A pioneer in introducing the latest technology for hydraulic excavators, Tata Hitachi has migrated its products to incorporate features like online access to location of equipment, online health monitoring system, automatic sensors and alarms for machine health, maintenance, electrical excavators, AC drive rigid dump trucks, etc. In addition to this, the organization has introduced ConSite – an IT enabled tool through which machine reports are transmitted to the customers’ e mail ID : helping them make their operations smart & efficient. The parent company – Hitachi Construction Machinery Co. Ltd., Japan – has also been continuously evolving technology for mining excavators and rigid dump trucks. Hitachi offers a fleet management system – “WENCO” – to make equipment utilization effective and efficient: thereby making the mining operations more productive.